U.S. Senate candidate Beto O'Rourke bounds onstage to speak on criminal justice reform at the Rise Up! rally against social injustice at the Texas Capitol. Bob Daemmrich / BDP Inc. 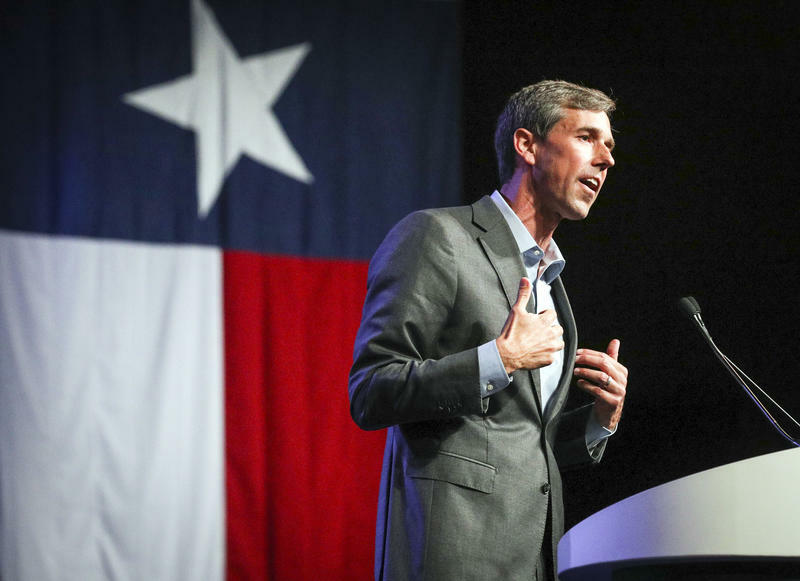 The campaign of Beto O'Rourke, the Democratic nominee for U.S. Senate, says an "impostor" was behind a text message that surfaced Wednesday asking voters to help people who are in the country illegally cast ballots. "Hi, it's Patsy here w/ Beto for Texas," reads the text, which was circulating on social media. "Our records indicate that you're a supporter. We are in search of volunteers to help transport undocumented immigrants to polling booth so that they will be able vote. Would you be able to support this grassroots effort?" 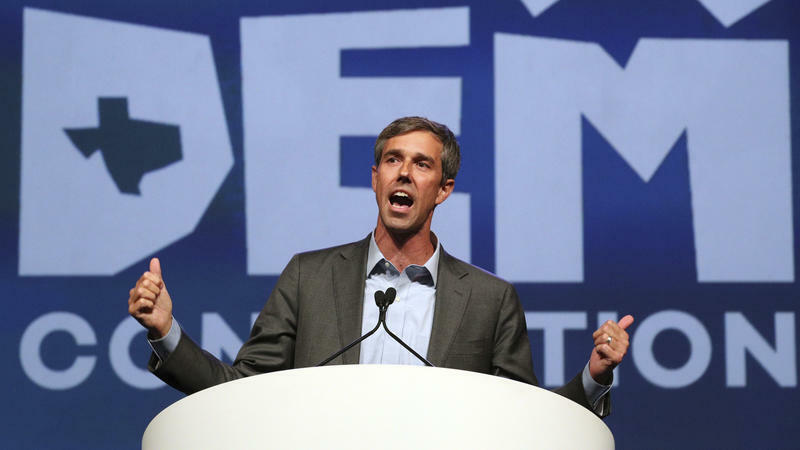 "That was not an approved message by the campaign," said Chris Evans, O'Rourke's communications director. "It was sent by an impostor. But we're continuing to look into what happened." The campaign of O'Rourke's opponent, Republican U.S. Sen. Ted Cruz, said it had nothing to do with the texts. Calls to numbers associated with the texts led to a voicemail message that referenced Relay, a peer-to-peer texting company based in California. A company representative said he did not have any information about the texts and referred a reporter to the O'Rourke campaign. The O'Rourke campaign has made an aggressive effort to reach voters through texts — so much so that Cruz has said that even he and his dad have received multiple messages from his rival's campaign. This story is part of our Senate Tracker series, looking at Senate races across the country ahead of the 2018 midterm elections. Check out all of our election coverage. If you arrived at Beto O'Rourke's recent town hall meeting in San Antonio even 40 minutes ahead of time, you were out of luck. All 650 seats were already taken. It was one sign that the El Paso Democratic congressman has set Texas Democrats on fire this year, as he takes on Republican Sen. Ted Cruz's re-election bid. 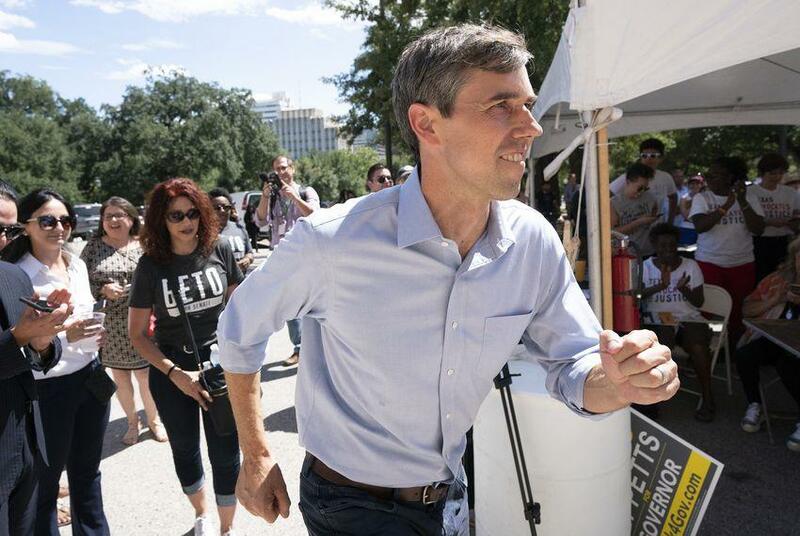 Texas Democrats have been wandering in the electoral wilderness for two decades — 1994 was the last time they won a statewide race — but at O'Rourke's events, they have been showing up in droves. Often, it's standing room only. 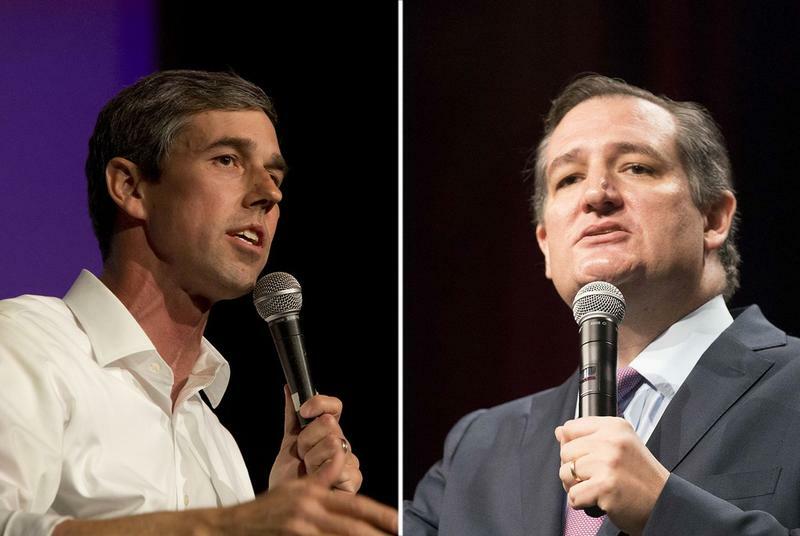 U.S. Sen. Ted Cruz, R-Texas, has challenged Democratic opponent Beto O'Rourke to five topical debates before Election Day, about three months after O'Rourke challenged Cruz to six.